In health care, we inherently understand that care must be tailored to individuals, as patients have different needs. For example, if a patient walks in with an ear infection and another patient comes in with a broken arm, we treat each patient differently, according to their needs, in order to provide the best care possible. When training health professionals, I’ve heard folks at various levels (medical assistants, nurses, providers, etc.) say that they don’t need training on LGBTQ patient care, because they treat all patients “equally.” Yet this equality framework fails to acknowledge that LGBTQ patients have different needs than cisgender and straight patients and that we cannot provide excellent care without adjusting appropriately. Instead of continuing to use the equality framework, I propose we utilize a health equity approach to care, which simply means that we tailor our care to our patients needs. Equitable care is provided when we adjust our care appropriately so LGBTQ individuals have equal outcomes compared to their straight/heterosexual and cisgender counterparts. Learn more about the fascinating history of this image here! How can we improve health equity for LGBTQ patients? Providing equitable care for LGBTQ individuals means health care professionals need to know who their patients are, how they identify, who their support systems are, and how their relationships and identities impact their well-being. The first step towards providing equitable care for your LGBTQ patients is to simply identify who they are. Here are a few ways you can identify LGBTQ patients and make them feel safe and comfortable in clinical spaces. Don’t assume the name in the chart is the name your patient wants you to use. Your initial introduction can make or break the entire encounter. Transgender and gender non-binary patients in particular will take note if you make assumptions about their name and/or pronouns, as electronic medical records may or may not align with the name they use and their gender. Do ask about sexual orientation and gender identity (SOGI). The only way to find out who your LGBTQ patients are is to ask. If your straight and/or cisgender patients are uncomfortable with these questions, take a teaching moment to share why these are important questions for all patients. Trust your patients and learn from them. Our patients know themselves and their lives best. Believe what they tell you and take the time to learn about their identities and their health care needs between visits. Self-reflection and cultural humility are critical skills when working with all patient populations. Remember that working towards equitable and inclusive care is an ongoing process, so be patient with yourself and expect to make mistakes as you learn. I have an LGBTQ patient! Now what do I do? Great question! The next step in providing equitable care is to critically assess how your patient’s identity/identities impact their health needs. 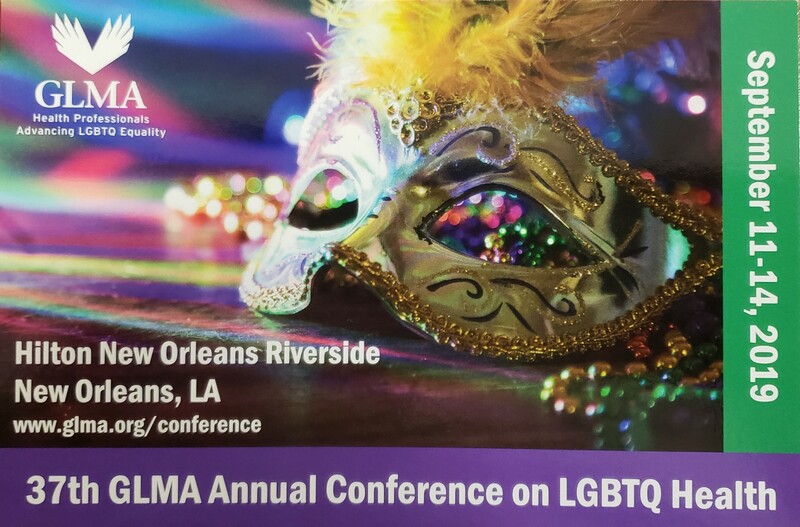 Keep following this series and the GLMA Nursing blog to learn more about how to assess your patients’ needs and improve your clinical management of LGBTQ individuals. Can’t wait? Check out GLMA’s archived webinars to learn more about providing LGBTQ-inclusive care. Tiffany E. Cook is the Training and Professional Development Program Coordinator at NYU School of Medicine’s Office of Diversity Affairs. She received her undergraduate degree in General Studies with a minor in Women’s and Gender Studies from the University of Idaho and is currently applying to nursing school with plans to become a Family Nurse Practitioner. She serves on the GLMA Nursing Section’s Web Team and can be found on Twitter at @TiffanyECook. Great post on equality versus equity in healthcare!